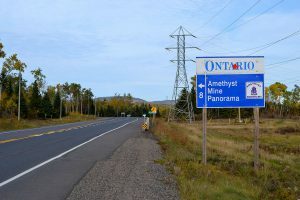 Amethyst Mine Panorama is located approximately 45 minutes northeast of the City of Thunder Bay. 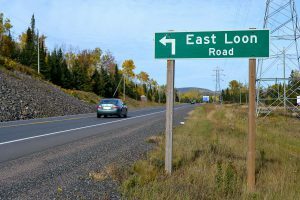 Follow Highway 11-17 and turn North onto East Loon Road. Then follow the signs to fun! The longitude and latitude co-ordinates for the mine are 48.690252 and -88.725114. 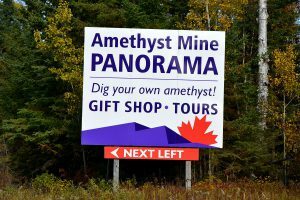 The mine is open 7 days a week from May 15 until October 15. This includes weekends and holidays. Admission: $10 per person (HST included) – children ages 5 and under are free.